Whatever your feelings about learning grammar, it is essential to have a good grasp of it when learning a new language. There tends to be two approaches to grammar: one that claims that grammar is the most important aspect of learning a language and one that says it is more of an obstacle. According to some people, it is the most important aspect for developing a good foundation for language learning. While it is undeniable that grammar is essential for understanding language structure (and even some cultural aspects), it is an approach that is almost exclusively analytical. A similar number of people believe that focusing on grammar detracts from learning a language. They consider grammar to be an obstacle that moves the focus from where it should be. Since you learned English without this kind of grammatical instruction, they posture that you can get as much grammatical information as you need from inference (through reasoning). This perspective encourages learners to get as much exposure to the language as possible. This approach is almost entirely inductive (based on observations). 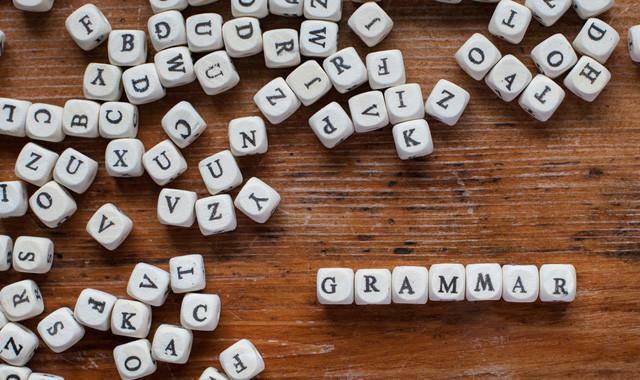 Love it or hate it, there is no doubt that there is a point to grammar. Without it, languages fail to have a structure. If you google the word grammar, you get the following definition. The definition is rather cold and misses a couple of the finer points. At its core, language is about communication. While the definition may be dry, it does reference this aspect by bringing up semantics and phonology. For example, if you intentionally use a double negative, you are making a very strong point, using grammar to emphasize your point. This would not be possible if you did not understand the basic rules of grammar. However, that does not mean that you have to put a lot of emphasis on learning grammar. The point when you learn a language is to make the language work when you talk with others. You do this in English without really spending a lot of time thinking about it. If you are able to learn a language without really studying grammar, this is perfectly fine. The fact that you know a language by the time you are five or six years old proves that you don’t have to understand grammar to learn to speak that language. One of my favorite pastimes is learning a language, and by that I mean anything that is considered a language – including programming. German was my second language, HTML was my third. As I was learning HTML I realized that the difference between learning a spoken language versus a computer language is a very fine line. Essentially, they are both a type of code. Spoken language has a lot more rules, but you don’t break a person when you mess up the grammar (you can kill your program that way though, and it won’t work until you fix it). As long as you are able to communicate in a way that allows someone else to understand you, you have successfully broken at least some of the code. As any programmer can tell you, it’s all about patterns. I have taught myself a lot of different computer languages, and, really, once you understand how one works, it’s a lot easier to determine the patterns in other languages. Spoken language is really similar. The best way to understand and use grammar is through a combination of the two methods – analysis and inference. The best way to understand this is by thinking about patterns in puzzles. Consider the following puzzle. There is a pattern to each consecutive number, although the pattern may not be obvious at first. As soon as you start looking at it, your mind is likely already running different scenarios trying to predict the next number. You are both analyzing it and inferring from your previous experiences with number puzzles. You cannot consider numbers on their own. You have to look at them as a whole. In case you have not figured it out, the numbers are totals of the previous three numbers – 1 + 2 + 3 = 6; 2 + 3 + 6 = 11, and so on. It goes beyond just the numbers and requires you to think about the relationship between each of the numbers posted. To learn a language, you have to hear more than just the words. You have to be able to interpret how they are used and how that interpretation relies a good deal on the grammar of the language. Reading goes a long way to helping people understand a language’s grammatical structure without forcing a lot of grammatical focus. Every part of what you read contains grammar, so you are getting what you need just through the activity. Yes, there are a lot of words on the page, but by taking your time to work through them, you will learn both the words and the grammar you need.